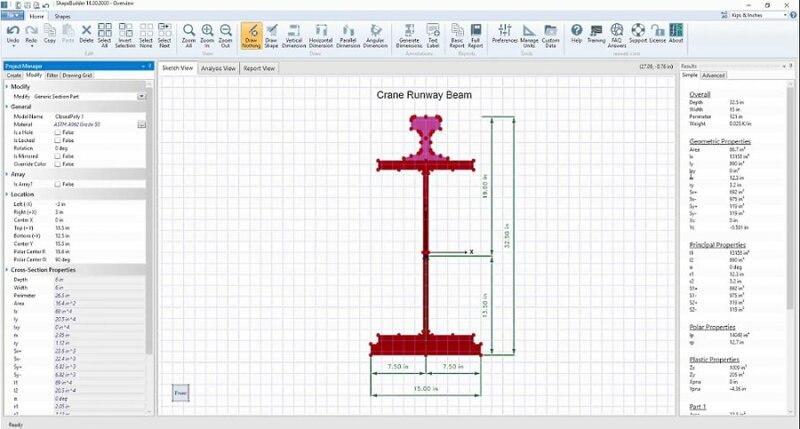 ShapeBuilder is a powerful utility for anyone who needs to calculate geometric or structural properties of plane areas. The primary purpose of ShapeBuilder is to help engineers determine properties of custom or combined sections for structural desig. Create built-up or cut-down structural shapes quickly using a variety of techniques. Powerful graphical editor allows you to modify or change things. Find transformed section properties for shapes in multiple materials. Investigate bending and shear stress distribution under body-force loading. Accurate finite element results. Create a library of shapes. Use these shapes as member elements in your VisualAnalysis projects. Even get design checks for certain profiles. Includes built-in libraries of shapes from AISC, CISC, AISI, NDS, ADM, EuroSteel, Australian Steel, Rebar. Includes Historic AISC shapes, too. Calculate torsion and warping constants for open or closed sections. View the warping function graphically. Create a concise one-page report with graphics to show all the calculated properties. Include dimensions or stress results. 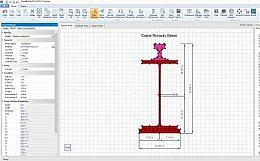 * ShapeBuilder download link provides trial version of the software. No one has rated ShapeBuilder yet. Be the first to rate this product.